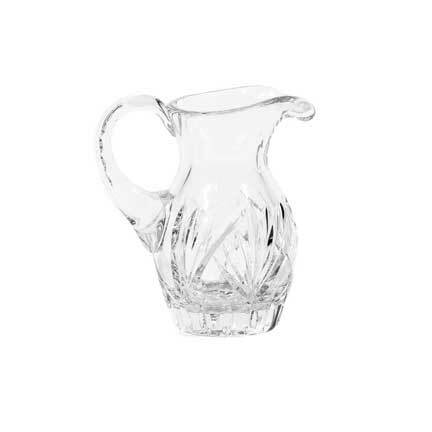 Our crystal collection includes the creamer, sugar, salt and pepper shakers, and our collection of stemware. Looks great with our crystal candelabra and small crystal votives. Creamer is 4.5" tall.